Pink is my all time favorite color and I have been inspired by all the beautiful pink nails on Instagram supporting Breast Cancer Awareness #polishuspink. I used the chevron nail technique with nail polishes: Zoya Rory, Essie Fiji, and I topped it off with Sinful Colors Opal Glitter. 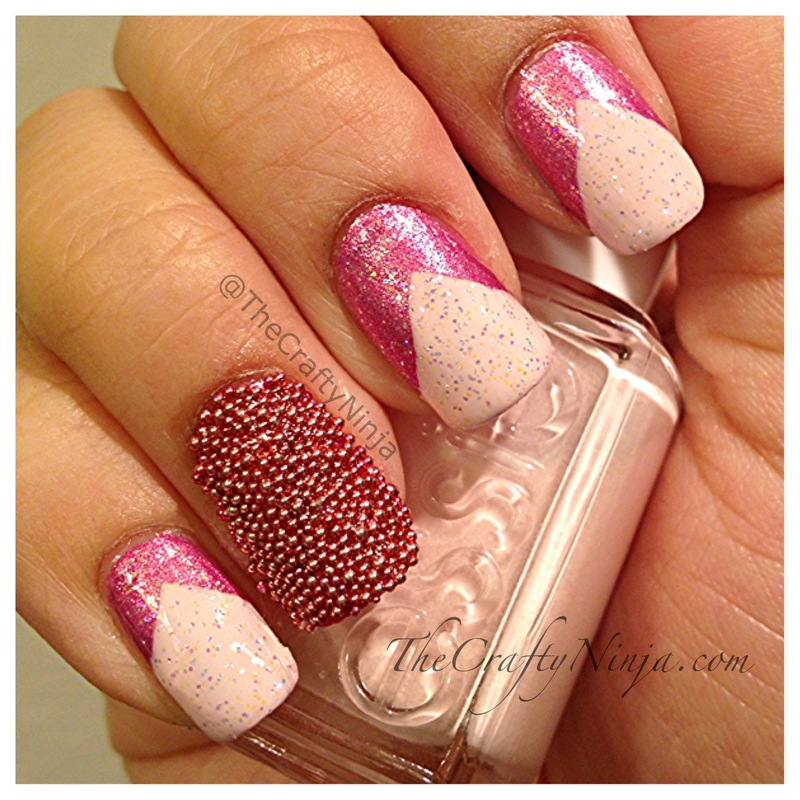 The microbeads or caviar tutorial is here. This is my very first Zoya, the color is called Rory, which a pinkish-purple or magenta hue with silver shimmer. It’s very pretty and the formula is nice and has good coverage. 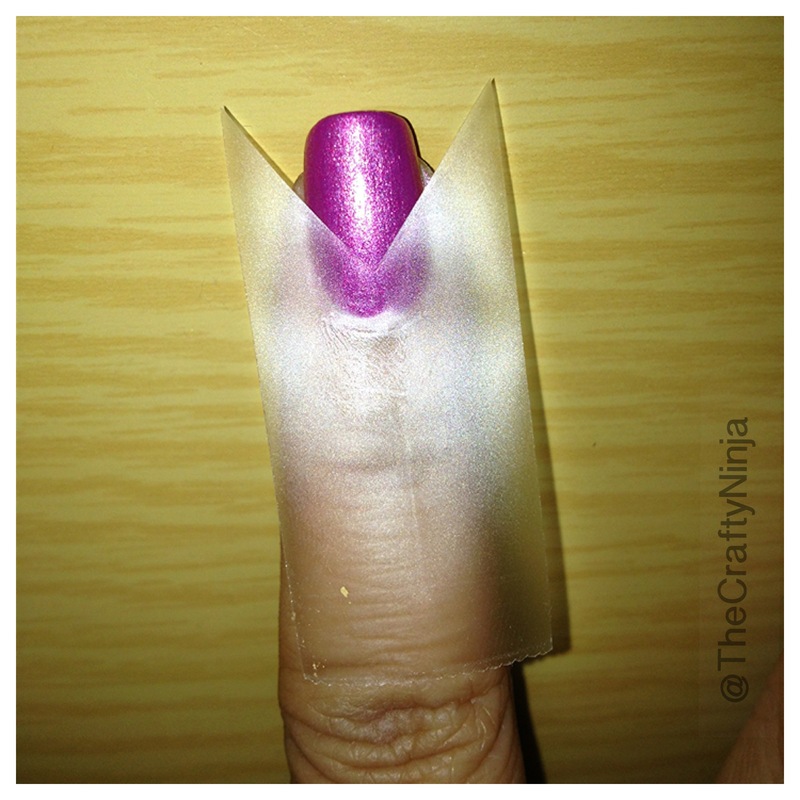 To create the chevron I place the tape on my finger, check out my reverse chevron tutorial here.